Kochi, Kerala: The World Tibet Day was observed in a low key, but in an effective fashion at the office of Shri Suku Dass, who not only enjoys an enviable foot print in the architectural domain, but also is one of the Campaigners of the organisation 'Friends of Tibet', whose contributions in advancing the Tibetan cause is worthy of eulogy or exaltation. The programme commenced with a terse, but perspicuous introductory speech by Shri Harish Hariharan, a legal researcher. He spoke about how the idea of 'World Tibet Day' was proposed by Richard Rosenkranz in 1997 and how Tenzing Choegyal, the younger brother of His Holiness the XIV Dalai Lama, suggested to observe this day in conjunction with the birthday of His Holiness the Dalai Lama. 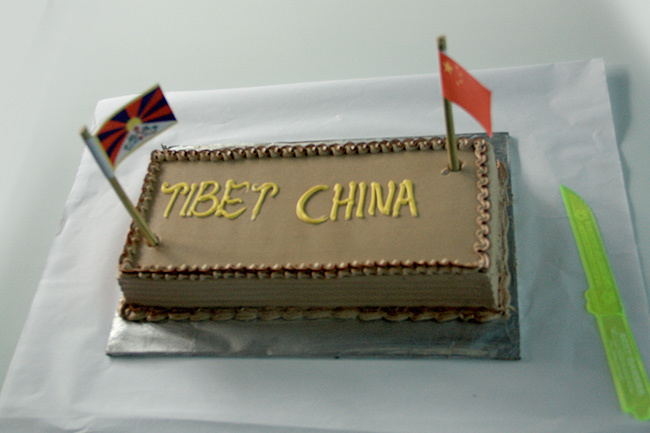 The audience were also educated of the core objectives behind celebrating World Tibet Day. The introductory speech not only denounced the unwarranted curbs imposed by the authoritarian Chinese political apparatus in Tibet as to deprive the Tibetans from exercising their religious and fundamental rights, but also strongly urged the international community to take cognizance of these deprivations as to mount pressure on the Chinese to revoke or lift them, so that the Tibetans enjoy unfettered access to these basic entitlements. It was also demanded of China to abstain from all acts which can be constituted as genocide as well as which fall within the definition of crimes against humanity. The enforced disappearances, killing of Tibetans amounting to one million as well the en masse importations of Han Chinese into Tibetan prefecture with the nefarious objective of obliterating Tibetan culture were cited as the reasons for advancing the above mentioned demand. Shri Harish Hariharan, a legal researcher and Tibet supporter introduces World Tibet Day to the gathering on July 6, 2015, the 80th birthday of His Holiness the Dalai Lama, celebrated world over as World Tibet Day. Young Supporters of the Tibetan Cause enthusiastically cuts China away from Tibet while celebrating the 80th birthday of His Holiness the Dalai Lama. Political cartoonist Shri Yesudasan launching 'Indian Cartoonists on Tibet' Book Project by drawing a caricature of His Holiness the XIV Dalai Lama. Pages from ten-year old Aadi Suku Dass' diary. The introductory speech was concluded by the speaker acquainting the audience of the unique and sublime culture as well as heritage commanded by Tibet and how it had been efficaciously showcased to the world community on each occasion of 'World Tibet Day'. 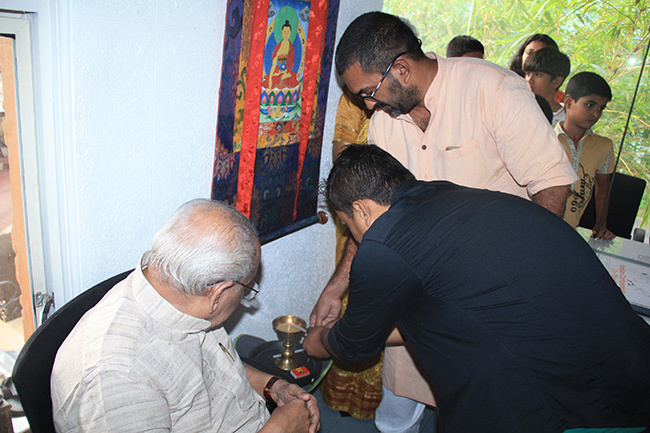 The programme was officially inaugurated by a Tibetan in exile, Shri Namgyal Tsundu, who lit the traditional Tibetan butter lamp by paying obeisance to Lord Buddha. 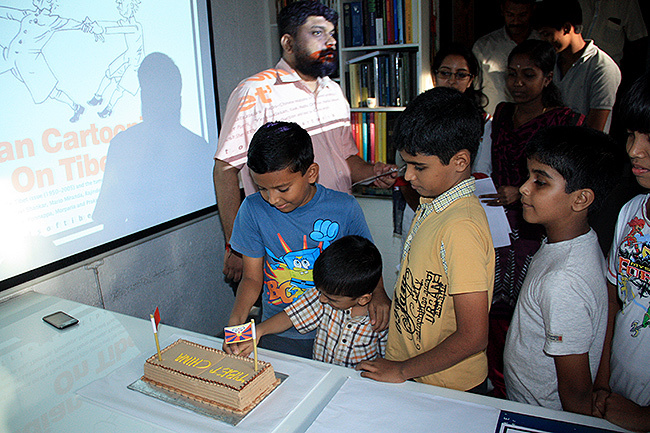 Since cakes are the tangible manifestations of Birthdays, a 'Tibet-China Cake' was cut by a group of young supporters led by Master Aadi Suku Dass. 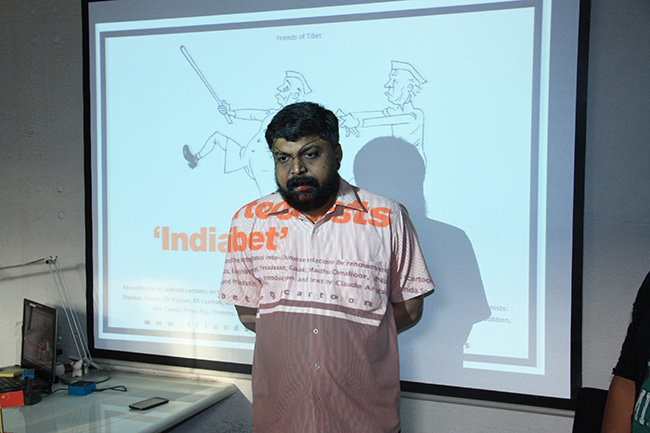 What followed was the cynosural component of the ceremony when acclaimed cartoonist Shri Yesudasan officially launched the book project 'Indian Cartoonists on Tibet'. This was succeeded by a slide show depicting the works of celebrated Indian cartoonists which revolved around the Sino-Indian politico relationship during the 50's and 60's. 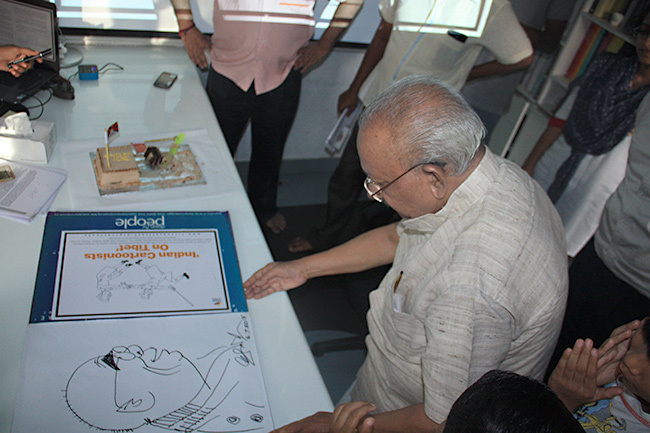 Shri Yesudasan exhibited his caricatural dexterity by drawing a cartoon of His Holiness the XIV Dalai Lama. He cited that His Holiness was one of the few world leaders who can be easily caricatured on account of the absence of wrinkles, which usually creeps into the human face upon ageing.